Dr. Beckford provides arthroscopic services. 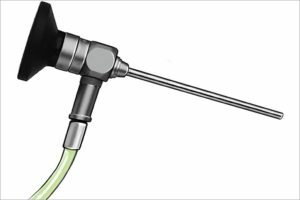 Arthroscopy uses a fiber optic viewing camera and small surgical tools to evaluate and treat a variety of conditions of the ankle and foot. It is inserted through a small incision. Ankle and foot arthroscopy is minimally invasive and often performed on an outpatient basis. Evaluations are more complete, and recovery times from surgery are faster. Worker’s compensation injuries require a thorough examination to determine whether the injury is in fact job-related. This state-run program is designed to provide compensation and medical expenses for employees injured on the job, but requires that qualified physicians determine the cause. 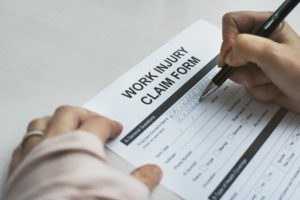 The injury must be causally related to a patient’s employment.If so, the result will be certified and treated. 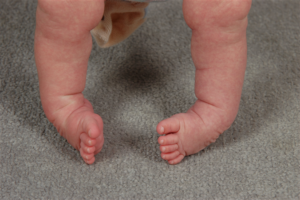 Clubfoot is a treatable birth condition, affecting about one in a thousand newborns. It may affect one or both feet. The treatment involves several months of constant treatment, including manipulation of the foot and leg, the use of casts and careful monitoring of the patient’s progress. A small percentage of patients will need bone and joint surgery. A consultation is necessary to find the best treatment. Dr. Beckford uses digital radiology. 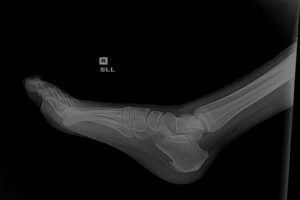 Digital radiology uses digital X-ray sensors rather than the traditional chemical film to determine the conditions of a person’s ankles, feet and toes. The digital technology is faster and allows convenient storage and transfer of images. The foot has 20 bones, 33 joints, and more than 100 muscles and ligaments. Digital radiology is one of the most important tools. Children with flat feet and other foot problems often have difficulty walking, running, or playing sports due to pain and/or impaired coordination. littleSTEPS® products are specifically designed for kids to deliver a prescription based correction, the closest you will find to custom! littleSTEPS® are composed of a unique blend of thermoplastic materials specifically chosen for kids to provide optimal strength and support to resist twist and torsion, yet soft enough for optimum comfort -with a non-skid soft edge feel.